Kapiti Island offshore of Paekakariki Beach on a sunny day. Mother and child enjoying the beach by themselves. 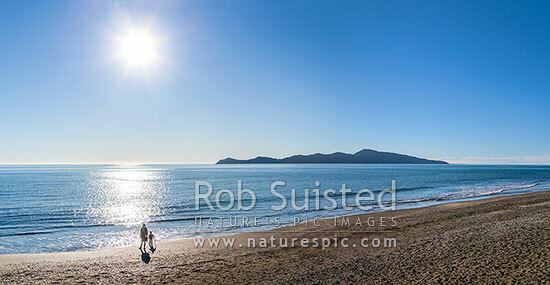 Panorama, Paekakariki, Kapiti Coast District, Wellington Region, New Zealand (NZ), stock photo.